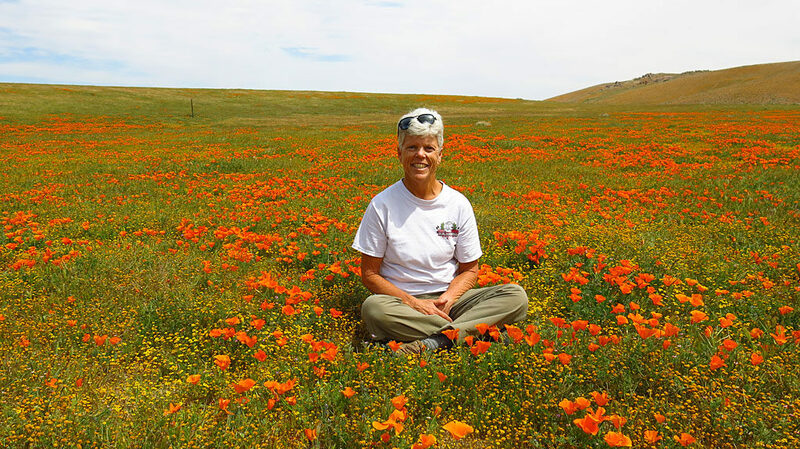 Earlier this spring, Carol and I made our pilgrimage to the Mojave high desert to see the wildflower bloom. 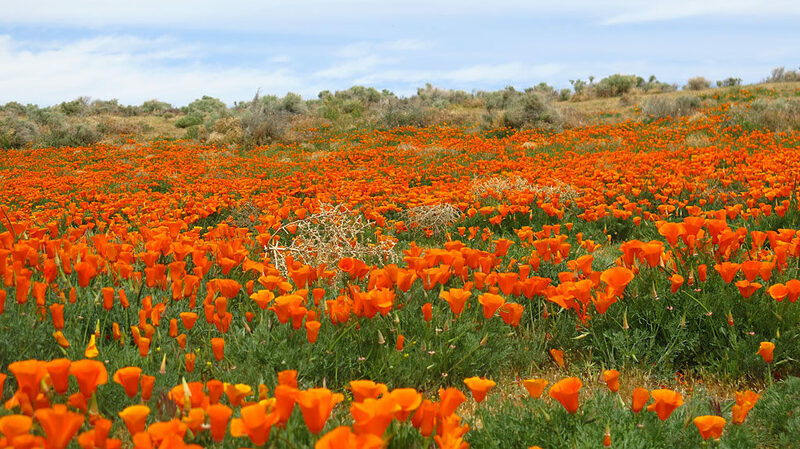 This part of the Mojave is located about 3,000′ elevation, so spring doesn’t arrive until April and later. 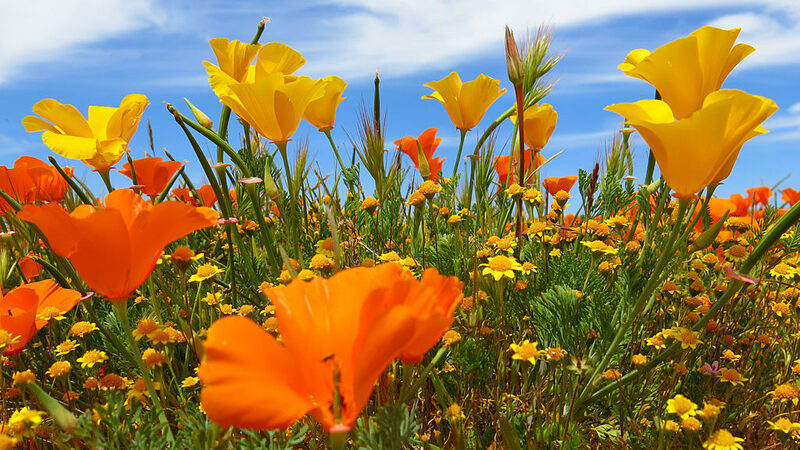 Many people choose to visit the bloom at the Antelope Valley California Poppy Reserve, a state-sanctioned wildflower viewing area — of course, this comes with fees and regulations. 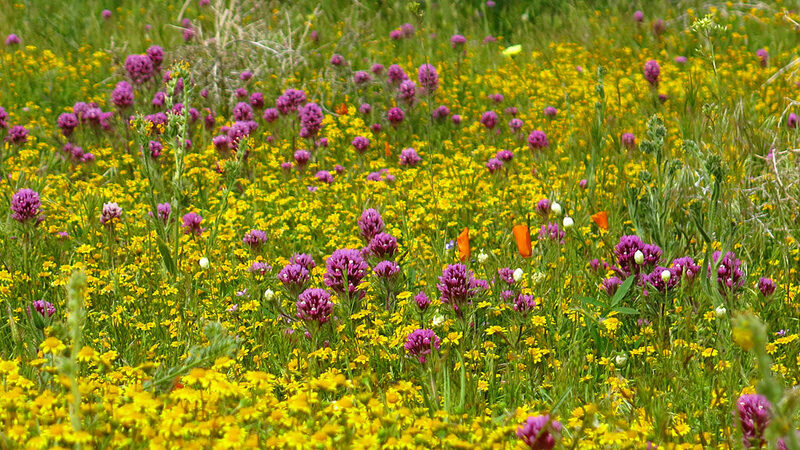 Red Clover shares the hillside with yellow Bigelow Coreopsis. 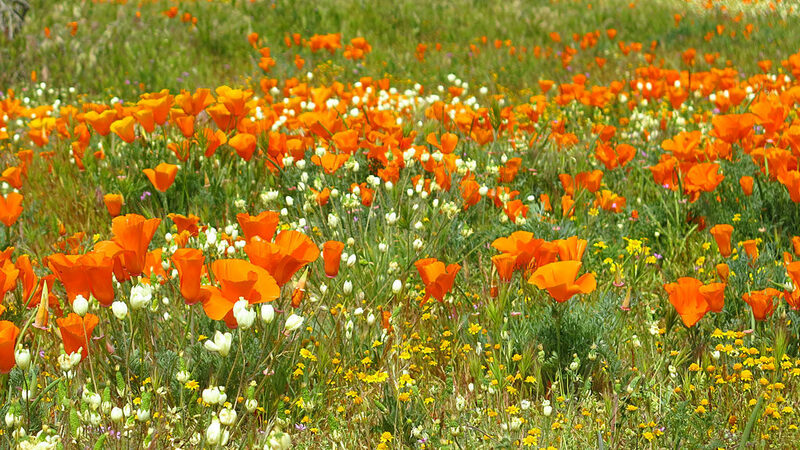 The California Poppy dominates the desert floor. 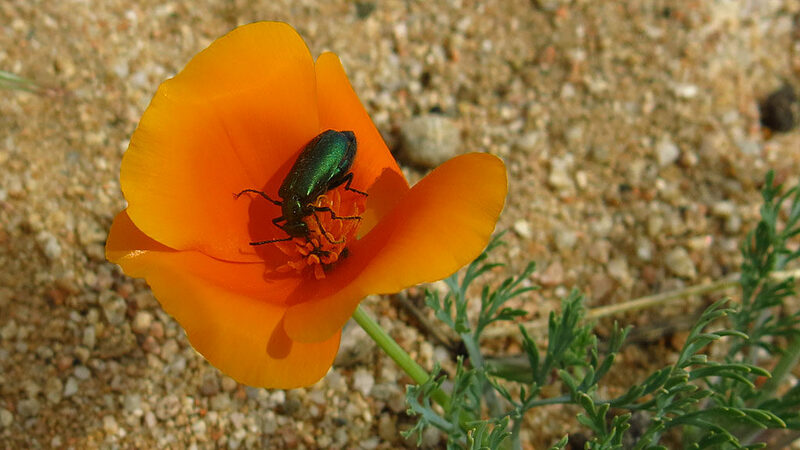 A Tiger Beetle enjoys lunch in a California Poppy. A somewhat rare yellow poppy hob-nobs with non-mutated poppies. Poppies and sage share the slope-side. 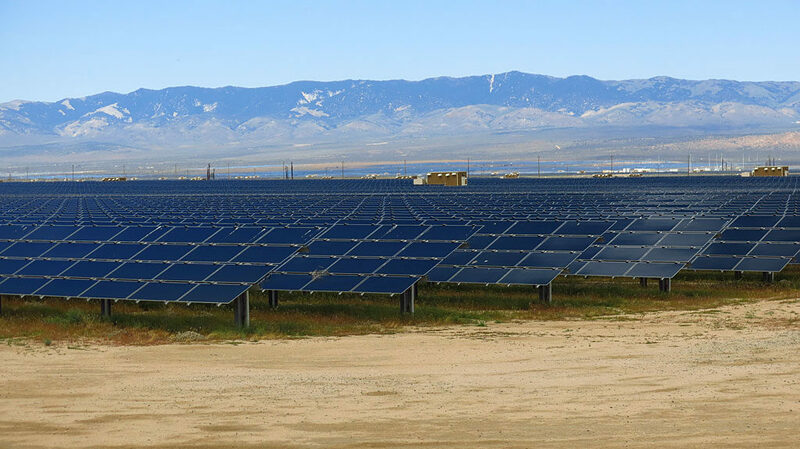 Many, many-acre solar farms line both sides of CA-138. 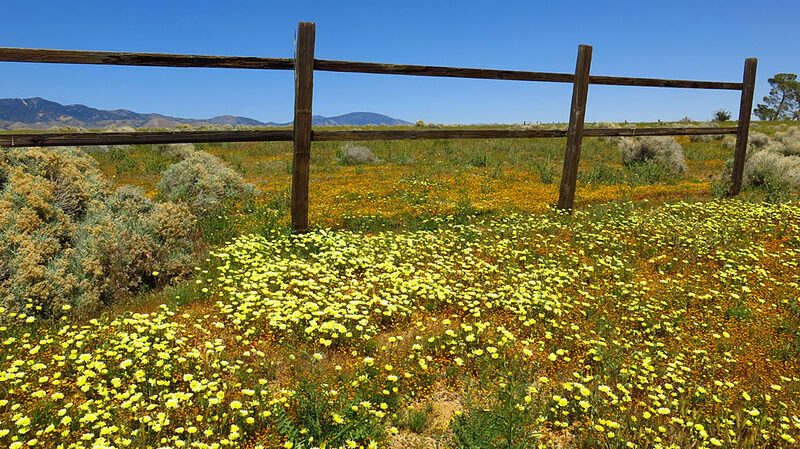 Desert Dandelion co-exists with sage and fences. 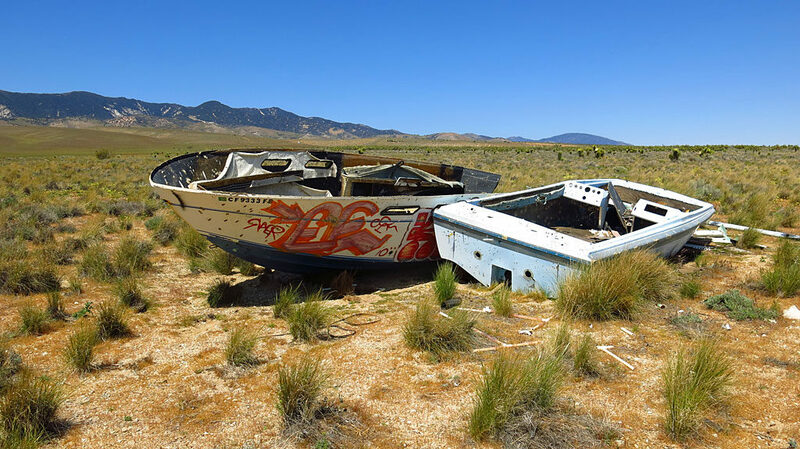 For some reason we see lots of derelict boats in the desert. The result of global warming perhaps? 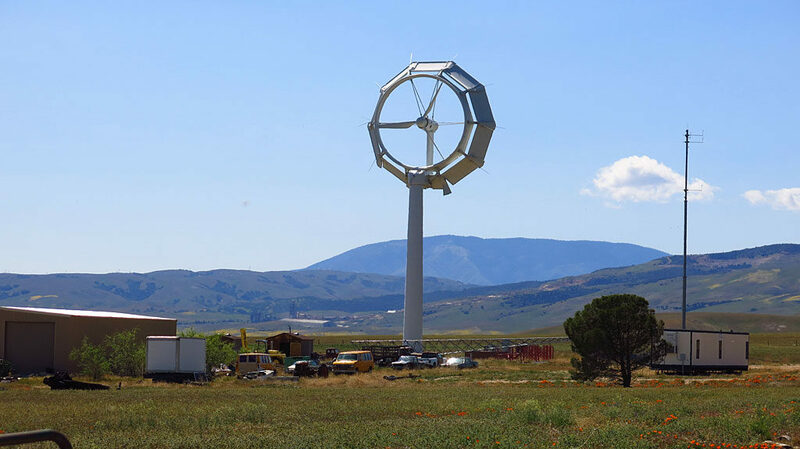 Along side the wildflowers and solar farms, was FloDesign, a compact, jet-engine inspired wind turbine that is three-to-four times more efficient and significantly cheaper to produce than existing wind turbines.